Posted by Bill Sandweg on 08 October 2018. Forgive me for getting on my insulin soapbox again. Because of my young grandson’s Type 1 diabetes, I am very interested in all things Type 1 related. I am especially interested in what it takes to keep him alive. Every day he has his blood tested multiple times. He needs alcohol wipes, test strips and lancets for the blood tests. He wears a glucose monitor, which must be changed out every few days. He wears an infusion pump. The pump has an infusion site which needs to be changed out every few days. He needs insulin to fill the pump. He needs glucagon for emergencies when he goes really low. He needs juice boxes and glucose pills for when he just goes a little low. All in all, it costs over $25,000 per year in diabetes supplies to keep my grandson alive. Here is a blog post by a woman (God bless her) with two Type 1 children. One of her children costs about $40,000 per year to keep alive while the other is a relative bargain at only about $30,000 per year. About $1,000 a month of the costs for a Type 1 diabetic is for insulin alone. 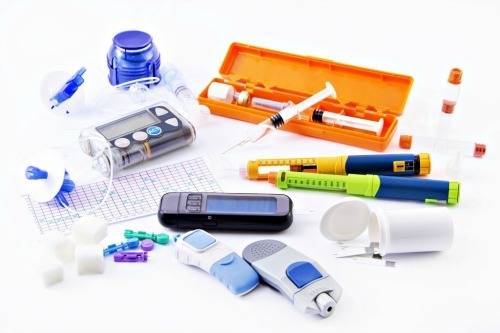 Without regular insulin injections, a Type 1 diabetic will die. If he or she skimps on insulin because she wants to buy food, the resultant high blood sugars will likely cause blindness, nerve damage, possible amputations, heart disease, kidney disease and the list goes on and on. When the effects of uncontrolled diabetes get really bad, we taxpayers pick up the tab for treating the patient. There are only a few insulin makers in the world. In the United States, they are allowed to charge what the market will bear. Here is a story about “Jane” who illegally buys her insulin from Canada. In the United States, her insulin costs $450 for a 10 ml vial. She needs about 6 vials a month to stay alive. When she buys illegally from Canada, the cost is $21 per vial. We pay more for insulin and other life-saving drugs than any other country in the world. Why do our elected leaders allow this disgrace to continue? Well, the obvious answer is money in the form of campaign donations and lobbying efforts. People should not die because they don’t have health insurance. People should not die in the greatest country in the world because they cannot afford the insulin necessary to keep them alive. Big Pharma should not be able to raise prices ever higher for life-saving medicines that are available more cheaply everywhere else in the world. It is no coincidence that as the cost of insulin has gone up hundreds of percent, the profits of the large drug companies that manufacture it and the related products that keep diabetics alive have gone up by hundreds of percent as well. Tell your Congressperson and Senators that enough is enough. It is time to force Big Pharma to treat Americans at least as well as they treat everyone else in the world.